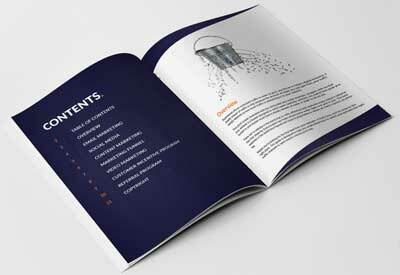 In This FREE Guide We'll Uncover instantly applicable information to revolutionize your marketing. From SEO to Email Marketing, Branding, Website Design and more! Learn the one channel that has the highest return of any other with an average return of $38 for every $1 invested. Learn which channel will deliver the highest return on investment for the current life-cycle of your business. Learn the role your website plays in the lead generation process, and if your site is ready to help or hinder. Learn how to leverage your current paying clients and customers to get a higher value per customer. Stop waiting around for traffic to just magically show up. Download your Free Guide today and start generating visitors!